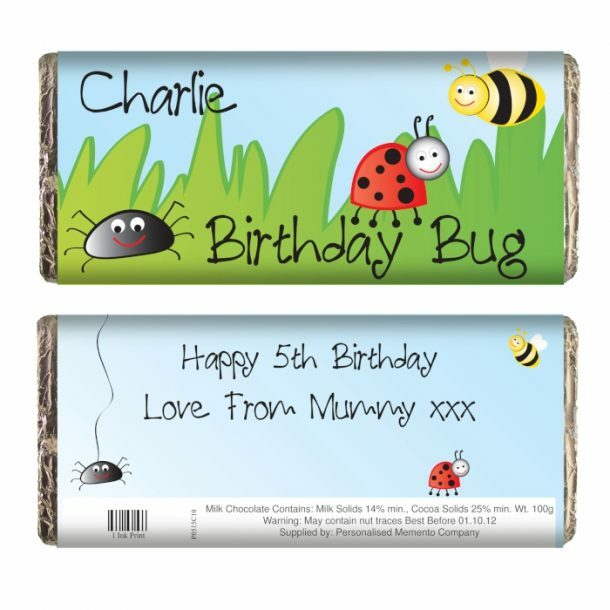 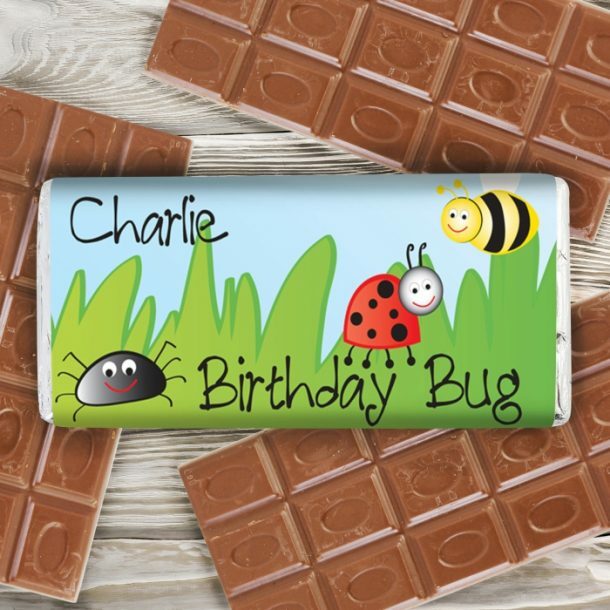 The funky Personalised Birthday Bug Milk Chocolate Bar is an ideal Birthday present for any little boy. Once the chocolate has been devoured the wrapper will remain as a keepsake, unlike shop bought ones! 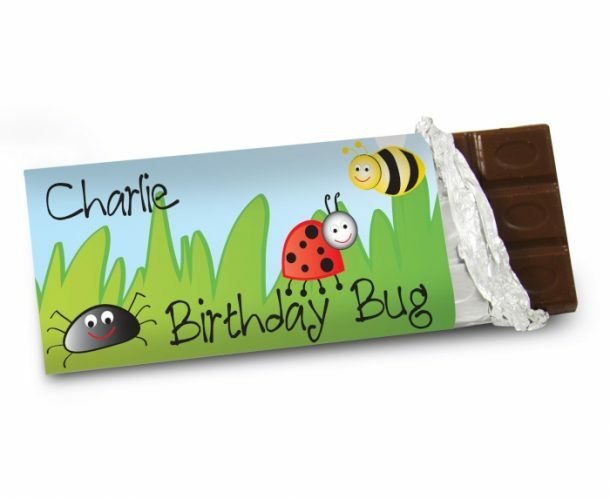 Superbly illustrated, the front of this chocolate bar can be personalised with any name, the words “Birthday Bug” are standard. 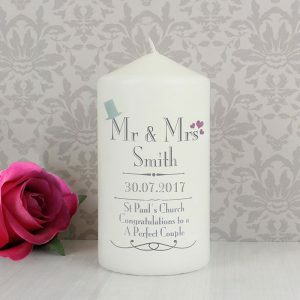 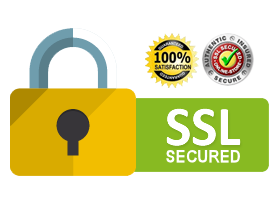 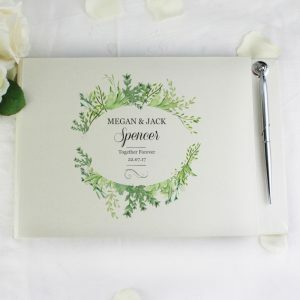 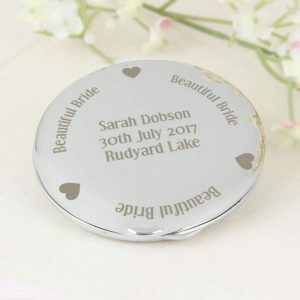 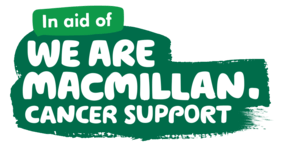 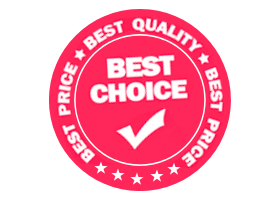 You can also personalise the reverse of the wrapper with any message of choice over 2 lines of text, with 30 characters on each line. 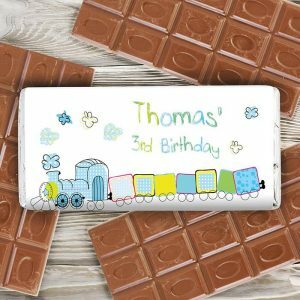 A personalised milk chocolate bar any child will adore.